Cold days, chilly winds and indoor heating all play their part in wreaking havoc on your skin. When it's hot inside but cool outside, your skin doesn't quite know what to do. Luckily, with a bit of care, getting rid of dry skin is easily achievable. Read these dry skin care tips and you may be able to figure out how to soothe dry skin. The first remedy for dry skin? Food! Strawberries, blueberries and gooseberries - are all packed with nutrients that help the skin stay supple. Foods like these are rich in antioxidants and Vitamin A, helping skin regenerate and reduce sebum; which can also help with pimples. Fatty acids are important too; foods like salmon, walnuts and flax seed. They help reinforce cell membranes, locking in the moisture to each cell. We also need to stay hydrated for our skin to look its best, which means lots of water - 8 glasses per day is still the recommended intake. Run a bath and jump in to the warm water for five minutes, allowing time for the water to plump your skin. Drop in a tablespoon of oil - it can be olive, hazelnut or almond - and relax. Before your skin gets wrinkly (that's bad!) dry off and apply a heavy layer of moisturiser, like our NIVEA Rich Nourishing Body Lotion all over your body. Getting rid of dry skin means you need the right ingredients to keep your skin moisturised. To stay hydrated all over, lather on a nourishing body lotion, ideally straight after your shower or bath. A light moisturising day cream like NIVEA Daily Essentials Light Moisturising Day Cream protects your skin and strengthens its protective barrier throughout the day. Or, richer night creams combine nourishing ingredients with a good night’s sleep to leave you looking fresh and rested in the morning. Some cleansers can be drying, which is not what you want when treating dry skin. Choose a cleanser that doesn’t just cleanse, but also hydrates your skin. The NIVEA Creme Care Cleansing wash contains the caring Eucerit and Panthenol to cleanse the skin whilst maintaining its natural moisture balance. Getting rid of dry skin will reduce irritation and make your skin feeler smoother and healthier. Discover natural ingredients for dry skin. Aloe vera comes from tropical Africa. It looks like a cactus, but botanists consider it a member of the desert lily family. It has been used to treat skin problems for over 3,000 years. Even Cleopatra used an aloe paste for skin care and beauty treatment. Find out more about Aloe Vera here. The argan tree is one of the oldest trees in the world. Around 65 million years ago, it covered vast areas of North Africa and South Europe. Today it only grows in southwestern Morocco. Find out more about Argan Oil here. In the Middle Ages, it was indispensable in every monastery garden – and still today, chamomile is one of the most popular herbs for health and beauty. A chamomile tea can relax you and help with anxiety and stress. Organic chamomile can be found in NIVEA’s Pure and Natural range of face care products for dry and sensitive skin. Find out more about Chamomile here. 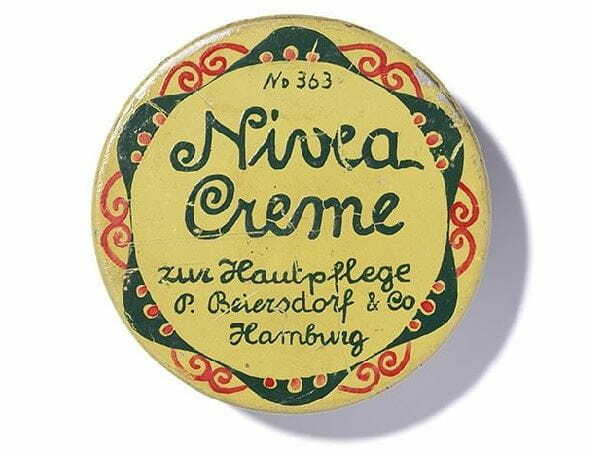 Nature has always been an inspiration for the researchers at Beiersdorf, who can today draw on over 100 years of skin expertise. The care products in the NIVEA Pure and Natural range primarily use ingredients found in nature. These are prepared gently, so that they can achieve their optimal effect. The NIVEA Pure and Natural range is also free of parabens, silicones, colouring agents and mineral oil. Skin care starts with cleansing: use a product that is suitable for dry skin: for example NIVEA Pure & Natural Face Cleansing Lotion with organic argan oil and aloe vera. It cleanses gently and thoroughly removes make-up. Look after dry skin naturally! Apply a nourishing cream after cleansing. Natural plant oils and calming ingredients are ideal for dry skin: NIVEA Pure & Natural Soothing Day Face Cream with organic chamomile and organic argan oil provides 24-hour intensive moisture, helps the skin to regenerate and gives it a soft and supple feel. For an even more intensive effect, liberally apply creams like NIVEA Rich Face Regenerating Night Cream with a formula of vitamin E and almond oil to your face and use as a mask. Allow to it to absorb for 15 minutes and then carefully remove the excess with a cosmetic cloth or massage it in gently. Your own lifestyle has an influence on the condition and health of your skin. The right care can achieve a lot. But stress and your diet can also have a direct effect on your skin. For a healthy appearance, your skin needs a range of nutrients, unsaturated fatty acids and vitamins. A lack of these can contribute to dry skin. By drinking a lot, you also treat your skin to some refreshment! Drink at least 2 litres a day. If you have been sweating, then drink more to make up for this. Stress can also cause the skin to dry out: treat yourself and your skin to regular relaxation, for example with a nurturing moisturising mask. Check out our DIY face scrub recipes. Good planning results in less stress: enter all of your daily appointments in a diary. If it turns out you have a few minutes free, use these for yourself. A cup of coffee in the sun, an hour of exercise or a quick spa programme in the evening will often work wonders. With a feel-good programme as a balance, your skin will instantly feel better, too. This will allow you to regain your strength and energy for the rest of the tasks you need to do. Excessive exposure to sunlight can dry out your facial skin. You should therefore use a sunscreen product for dry skin which contains moisturising ingredients as well as the SPF.